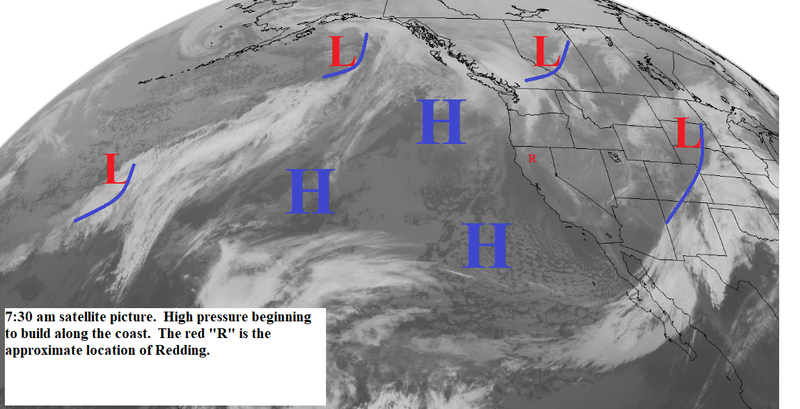 High pressure is building along the west coast and will hold there for the next 5 to 7 days (see map below). Today through Thursday we will see mostly sunny skies with temperatures 10 to 15 degrees above normal by Wednesday. This means some north valley locations will be over 80. Gusty north winds will occur in some areas through Wednesday. 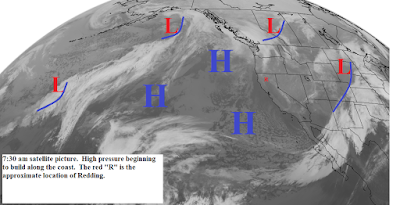 The high will begin to weaken a little on Friday. This will cool temperatures slightly. Saturday afternoon and again Monday weak fronts will brush the north end of the state with a few clouds. There could be isolated showers near the Oregon border.